This quality sterling silver alphabet bead features the letter F printed on four sides. Made in the USA, this 4.5mm alphabet bead has a 3mm hole and is wonderful for beaded baby name bracelets, jewelry made with silver charms, and graduation jewelry and other items commemorating special events. This alphabet bead is among the finest quality you will find anywhere. The brilliant silver shine will complement any color palette. This quality sterling silver alphabet bead features the letter A engraved into four sides. Made in the USA, this 4.5mm alphabet bead features a wonderful cube shape that will stand out in your designs. You can use the wide stringing hole with thicker stringing materials, too. This bead is great for spelling out names and special messages in your personalized jewelry designs. Use this quality sterling silver alphabet bead with the letter E on four sides in your designs. Made in the USA, this 4.5mm alphabet bead (E) with a 3mm hole is perfect for beaded baby name bracelets, silver charm jewelry, and graduation jewelry. This silver cube bead is a great geometrical shape. Create stunning personalized jewelry. Keep your creations for yourself, or give it away as a unique gift. Give your next necklace collegiate personality with this sterling silver 5.6mm Greek letter bead featuring Alpha. Alpha is the first letter of the Greek alphabet and is represented by a capital A. Greek letters are used by sororities, fraternities, in math equations and more, so this bead will allow you to completely personalize all of your jewelry designs. The bright sterling silver ensures your designs will look and feel high-quality and the letter is etched on four sides, so it is sure to be visible at all times. This quality sterling silver alphabet bead features the letter V engraved into four sides. Made in the USA, this 4.5mm alphabet bead features a wonderful cube shape that will stand out in your designs. You can use the wide stringing hole with thicker stringing materials, too. This bead is great for spelling out names and special messages in your personalized jewelry designs. This sterling silver D letter bead will work wonderfully with your sterling silver charm bracelets, graduation jewelry, mothers bracelets, and more. Use this alphabet bead to create a meaningful message or add a name for a personalized look. The cube shape is sure to make a splash in your designs. The wide stringing hole is ideal for using with thicker stringing materials like leather or ribbon. This quality sterling silver alphabet bead features the letter W engraved into four sides. Made in the USA, this 4.5mm alphabet bead features a wonderful cube shape that will stand out in your designs. You can use the wide stringing hole with thicker stringing materials, too. This bead is great for spelling out names and special messages in your personalized jewelry designs. This quality sterling silver alphabet bead features a cross engraved into four sides. Made in the USA, this 4.5mm alphabet bead features a wonderful cube shape that will stand out in your designs. You can use the wide stringing hole with thicker stringing materials, too. This bead is great for adding a symbol of devotion and faith to your designs. This quality sterling silver alphabet bead features the letter C engraved into four sides. Made in the USA, this 4.5mm alphabet bead features a wonderful cube shape that will stand out in your designs. You can use the wide stringing hole with thicker stringing materials, too. This bead is great for spelling out names and special messages in your personalized jewelry designs. This quality sterling silver alphabet bead features the letter A printed on four sides. Made in the USA, this 4.5mm alphabet bead has a 3mm hole and is wonderful for beaded baby name bracelets, jewelry made with silver charms, and graduation jewelry and other items commemorating special events. This alphabet bead is among the finest quality you will find anywhere. The brilliant silver shine will complement any color palette. This quality sterling silver alphabet bead features the letter D printed on four sides. Made in the USA, this 4.5mm alphabet bead has a 3mm hole and is wonderful for beaded baby name bracelets, jewelry made with silver charms, and graduation jewelry and other items commemorating special events. This alphabet bead is among the finest quality you will find anywhere. The brilliant silver shine will complement any color palette. This quality sterling silver alphabet bead features the letter M engraved into four sides. Made in the USA, this 4.5mm alphabet bead features a wonderful cube shape that will stand out in your designs. You can use the wide stringing hole with thicker stringing materials, too. This bead is great for spelling out names and special messages in your personalized jewelry designs. Spell out your name and favorite phrases with this sterling silver 5.6mm alphabet bead featuring the letter V. This alphabet bead allows you to completely personalize all of your jewelry designs and the bright sterling silver ensures it will look and feel high-quality. The letter appears on four sides of the bead, so it's sure to be visible at all times. Whether you're spelling victory, Victoria or Vermont, this is the bead you need. This simple, yet stunning letter "E" bead is wonderful for any piece of personalized jewelry. This sterling silver E letter bead will work wonderfully with your sterling silver charm bracelets, graduation jewelry, mothers bracelets, and more. Each sterling silver rounded letter bead is 5.8mm with a 4mm hole, making it perfect for slightly larger stringing materials. Give your next necklace a collegiate personality with this sterling silver 5.6mm Greek letter bead featuring Sigma. Sigma is the eighteenth letter of the Greek alphabet and is represented by its own unique symbol. Greek letters are used by sororities, fraternities, in math equations and more, so this bead will allow you to completely personalize all of your jewelry designs. The bright sterling silver ensures your designs will look and feel high quality and the symbol is etched on four sides, so it's sure to be visible at all times. This quality sterling silver alphabet bead features the number 0 engraved into four sides. Made in the USA, this 4.5mm alphabet bead features a wonderful cube shape that will stand out in your designs. You can use the wide stringing hole with thicker stringing materials, too. This bead is great for spelling out names and special messages in your personalized jewelry designs. This quality sterling silver alphabet bead features the letter O printed on four sides. Made in the USA, this 4.5mm alphabet bead has a 3mm hole and is wonderful for beaded baby name bracelets, jewelry made with silver charms, and graduation jewelry and other items commemorating special events. This alphabet bead is among the finest quality you will find anywhere. 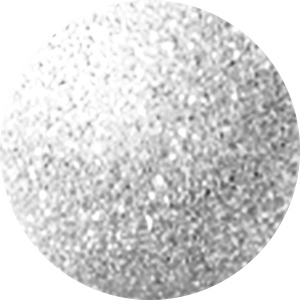 The brilliant silver shine will complement any color palette.